Kang Wang, Puneet Gupta and Sudhakar Pamarti, professors in the UCLA Samueli School of Engineering. 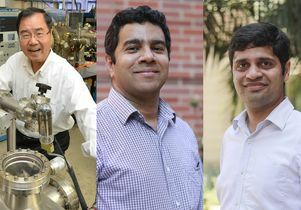 A team of UCLA electrical and computer engineering professors has received a $5.9 million research grant from the U.S. Department of Defense to develop energy-efficient computing systems that can process massive amounts of data at speeds much faster than currently possible. 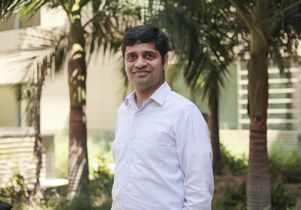 The team includes professors Sudhakar Pamarti, Puneet Gupta and Kang Wang, who bring expertise in nanotechnology, computing systems, design automation and integrated circuit design. Their project looks to address the “memory bottleneck,” a slowing down of computing speeds as information is shuttled between memory and processing chips. As computers are required to handle larger and larger amounts of data, the energy required to process that information has become a limiting factor in computing speed. Read the full news release on the UCLA Samueli School of Engineering website. 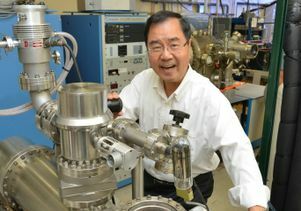 Kang Wang, professor of electrical and computer engineering in the UCLA Samueli School of Engineering. 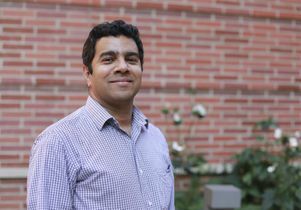 Puneet Gupta, professor of electrical and computer engineering in the UCLA Samueli School of Engineering. Sudhakar Pamarti, professor of electrical and computer engineering in the UCLA Samueli School of Engineering.